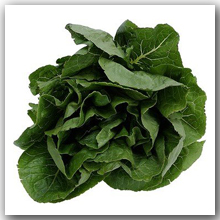 Trim and discard thick stems from bottom of collard green leaves. Thoroughly wash collard greens. Sauté onions in hot oil in a Dutch oven over medium-high heat 8 to 10 minutes or until tender. Add broth and next 4 ingredients. Gradually add collards to Dutch oven, and cook, stirring occasionally, 8 to 10 minutes or just until wilted. Reduce heat to medium, and cook, stirring occasionally, 1 hour or until tender. This entry was posted in Holiday, Party & Entertaining, Vegetables and tagged brown sugar, cidar vinegar, collards, easy, healthy, metabolic medical center, red onion, side dish, splenda, Vegetable, vegetarian by foodies4mmc. Bookmark the permalink.